3 years ago, Michael DeHaan started the Ansible open source project. Michael has worked tirelessly and done a great job leading the Ansible vision of simple IT automation, and his efforts led to some amazing achievements. Ansible is now a mature open source project and vibrant community, with over 900 contributors (a new contributor almost every day! ), thousands of users and millions of downloads. Ansible was recently named a Top 10 Open Source project for 2014, alongside projects like Hadoop, Docker, and OpenStack. As of today, Michael will be transitioning from his daily operational involvement with Ansible, Inc. to an advisory capacity supporting the community and the Ansible team as needed. You can read more about Michael’s thoughts on the transition here. As for Ansible, we are grateful for Michael’s vision and efforts and look forward to his continued contributions. 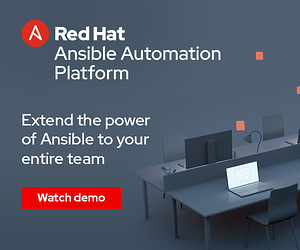 He and the Ansible community have set a new standard for simple, agentless automation, and we will continue to build great things on that strong foundation. Saïd has over 20 years of experience in leadership, sales and engineering. He spent over 10 years at Red Hat, where he managed a global accounts team accountable for over $100M in annual revenue. Saïd holds a B.S. in Electrical Engineering and a Masters degree in Information Systems from Northeastern University.